These classic wheels would be appropriate on all GM, and Mopar vehicles from 1950 to 1964. With our wide variety of accessories, this wheel is a great choice for a vehicle needing a new set of wheels! With over 10 color color options, this primed wheel is a perfect candidate for powder coating. 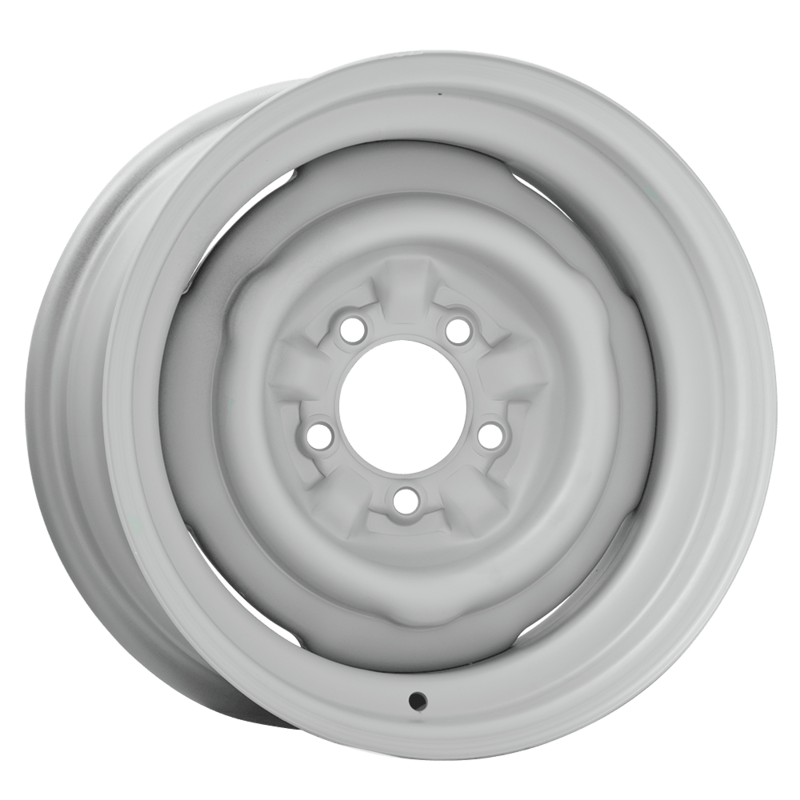 The bolt pattern on this wheel is 5x4 3/4 with the 15x10 wheel offering a 5x5 pattern. It accepts standard outside-knob caps with 10 1/8 inch back diameter. Note that full size caps requiring nibs will not fit. Accessories are sold separately. If you're in the market for a set of Chevy Steel Wheels, the O.E. 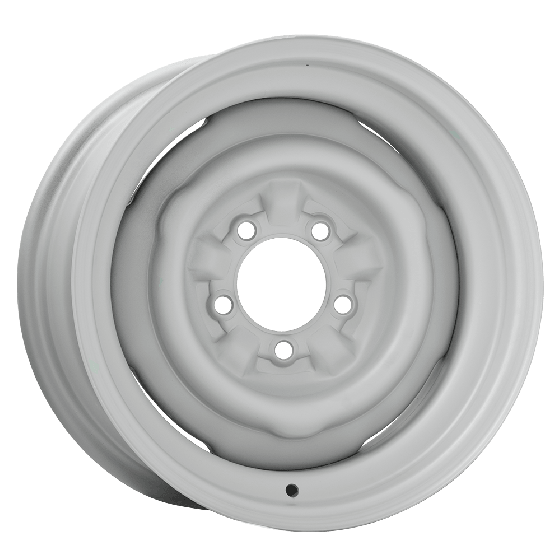 Style GM wheel in primer is high quality wheel you're looking for.